I remember eating cherries in cakes when I was young so a nostalgic throwback recipe was perfect on a very wet, cold and windy day in Cambridge. Simple and sweet, nice with a cup of tea. Take a small bowl and melt the butter. Now add to the melted butter the eggs, milk and almond extract. Whisk until light and frothy. In a separate mixing bowl add the rest of the ingredients, including the cherries roughly chopped. Mix together the dry ingredients and then make a well in the centre and add the butter batter. Beat vigourously trapping the air for 5mins. Spoon the mixture into cases and bake for 20-30mins. Cool and the eat! 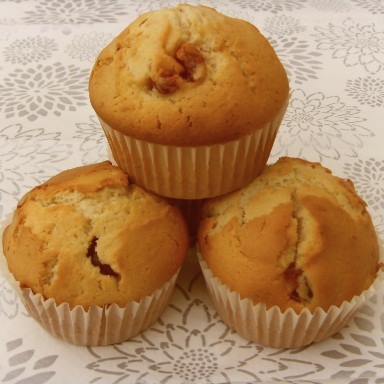 Brunch is always nice to have during the winter months and there is nothing better than nice warm marmalade muffins, the ultimate feel good food and Paddington bear’s favourite treat. 250g self raising flour , 150g wholemeal flour, 1 tsp baking powder , a grind of salt , 1 egg, 250ml milk , 1/2 squeezed orange juice, 75g melted butter , 150g thick-cut marmalade. First in one bowl with the melted butter, add the egg and orange juice. Whisk until light and frothy. In a second bowl add the flours and baking powder, sieved. Make a well in the middle and add your egg mixture. Beat together until thoroughly combined. Then stir in the marmalade until broken up but make sure it is still streaky and looks like a marble effect. Spoon in to muffin cases and bake for 20mins, or until light brown. 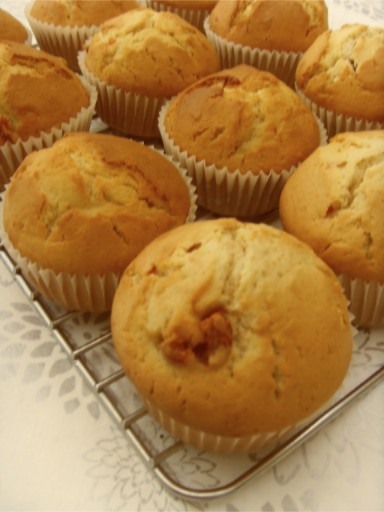 This recipe should made 12 muffins. Perfect for brunch or a nice snack. Today in an act of boredom I decided to try out a few muffin recipes. I had some left over bananas kicking around, so I thought I would use them up in a banana and cinnamon mix and another batch of blueberry. 65g caster sugar, 2 eggs, 1 tsp baking powder, 200g blueberries (I used dried, but you can use frozen or fresh), 50ml of milk. First cream the sugar and butter in a mixing bowl until light and fluffy, then sieve in the flour and baking powder, mixing it all together with a fork. Make a well in the centre of the mixture and add the eggs and milk. Mix vigourously with the fork until smooth and creamy, finally add the blueberries spoon into muffin cases and bake for 20-30mins (or golden brown). This recipe is a bit different to the blueberry. First melt the butter and mix with milk, eggs and vanilla, whisk and then stir in the bananas (mashed up nice and soft). Set this mixture aside and in a separate bowl sieve the flour, baking powder, sugar and cinnamon and lightly mix. Now with the flour mixture make a well in the middle and add the banana bowl. Vigourously stir with a fork until combined. Spoon into cases and bake for 20-25 mins. In the end I am really pleased with both of these recipes. I decided to decorate a few of the tops of the Banana muffins with vanilla icing and a sprinkle of pumpkin seeds for a seasonal twist.